Moorland Secure Storage is a family run storage facility located in the East Riding of Yorkshire with the capacity for over 300 caravans, motor homes, boats, horse boxes and trailers.Andrew and Lea Anne along with their two children are your "hosts” of this family run company with a friendly and welcoming attitude to our customers. As caravan owners ourselves we understand the importance of securing your vehicle in a safe area.We are residents on site allowing additional security.Our site has been approved CaSSOA Silver award. Moorland Secure Storage have catered for youby creating a safe and secure storage compound to ensure that you can put your caravan storage problems out of your mind when your second home, boat or trailer is not in use. The only access to the site is through a security gate with individual key pobs.Opening hours are 8am – 8pm unless by prior arrangement. 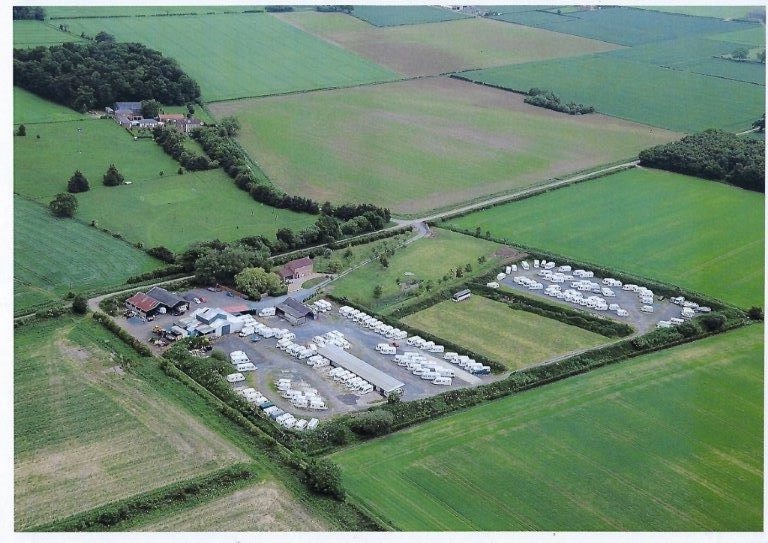 The site is conveniently located in the rural setting of North Newbald, 8 miles from junction 39 of the A63 (continuation of the M62 towards Hull) Market Weighton is only 4 miles away. The site is an ideal location to store your vehicle as York, the East Coast and the beautiful Yorkshire Dales and North Yorkshire Moors are close by along with the Motorway just 8 miles away.